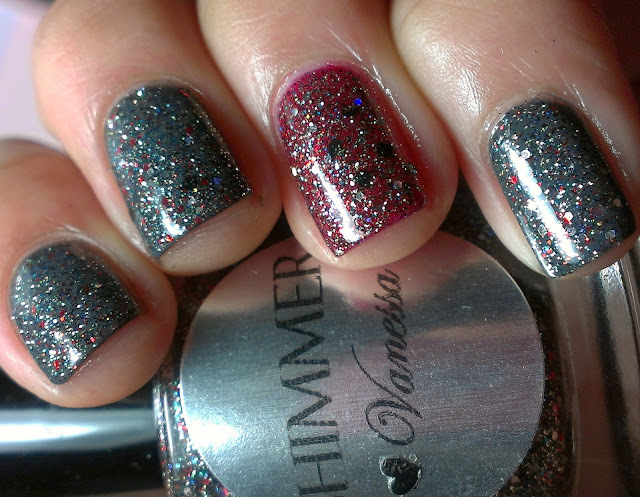 I have another great Shimmer polish to you today! Vanessa is simply gorgeous, it is s great mixture of red, black, grey (charcoal) and some holographic glitter. 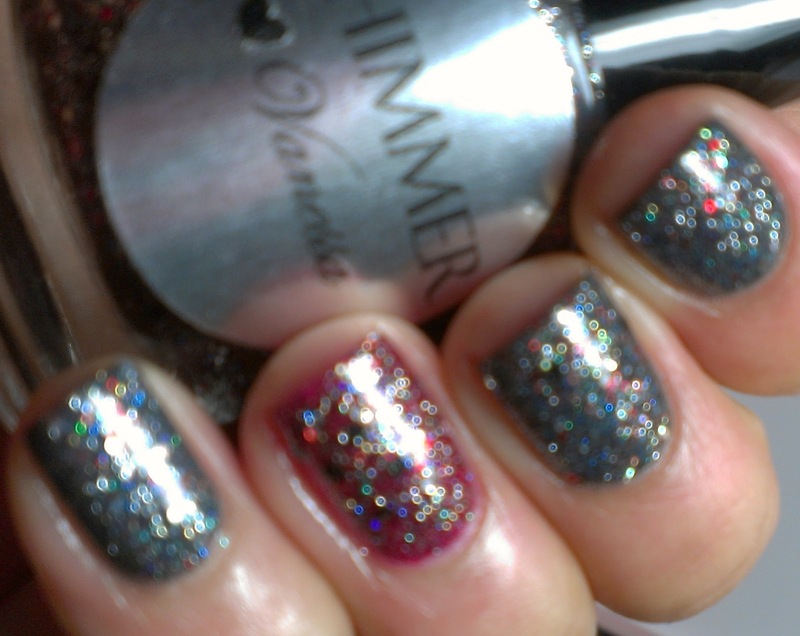 I couldn't stop looking at my nails when I had this on, the sparkle was just amazing! 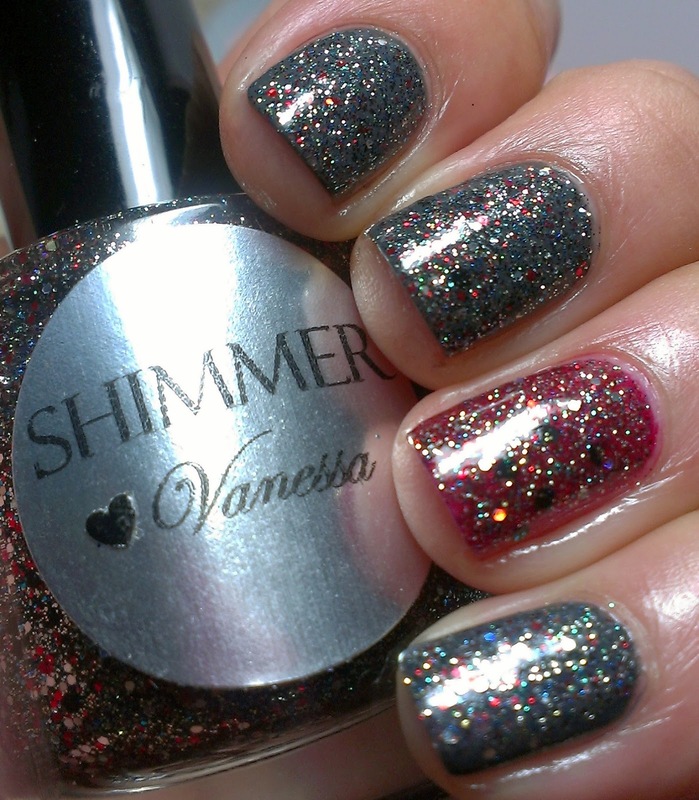 Vanessa layered over China Glaze Concrete Catwalk and Wet n Wild Fire Goddess! 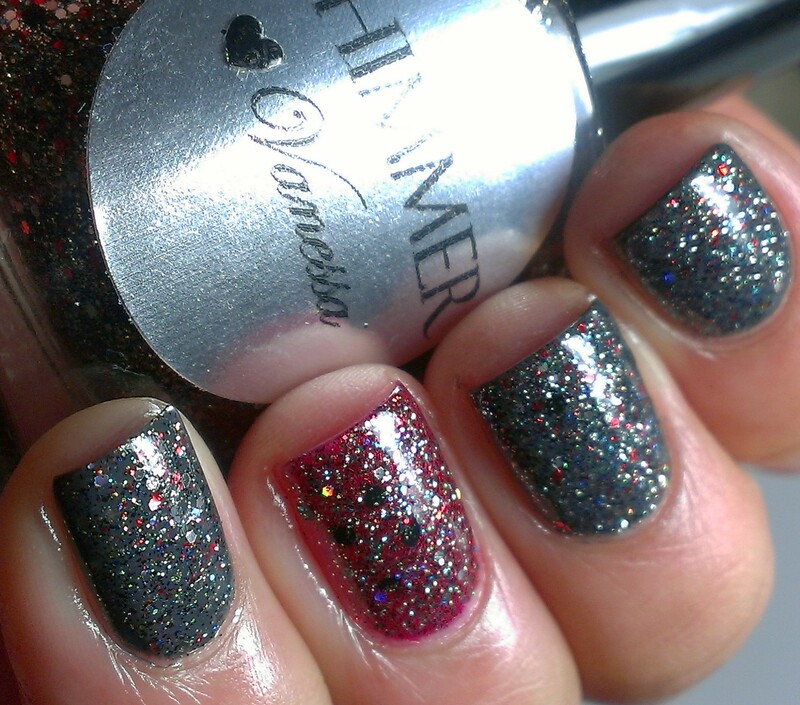 You can wear Vanessa alone as well, it is very dense so you can reach full coverage with 2-3 coats. 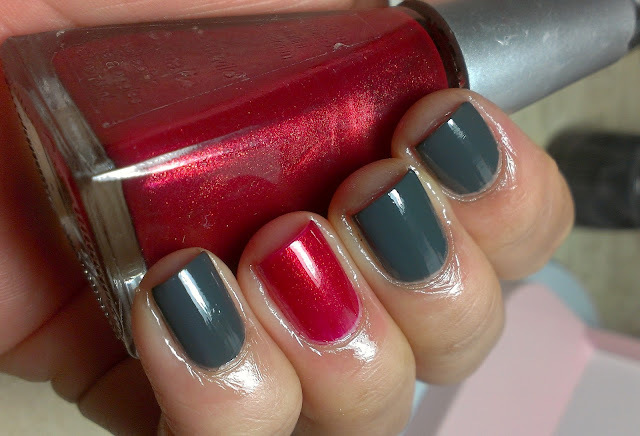 What is your oldest nail polish??? I think and old pink polish from Deborah and a MaxFactor that are as old as the hills. Nice mani, though the 'before shimmer' makes me think of autumn. Oh, that blurred picture really shows it in all it's glory, lovely! 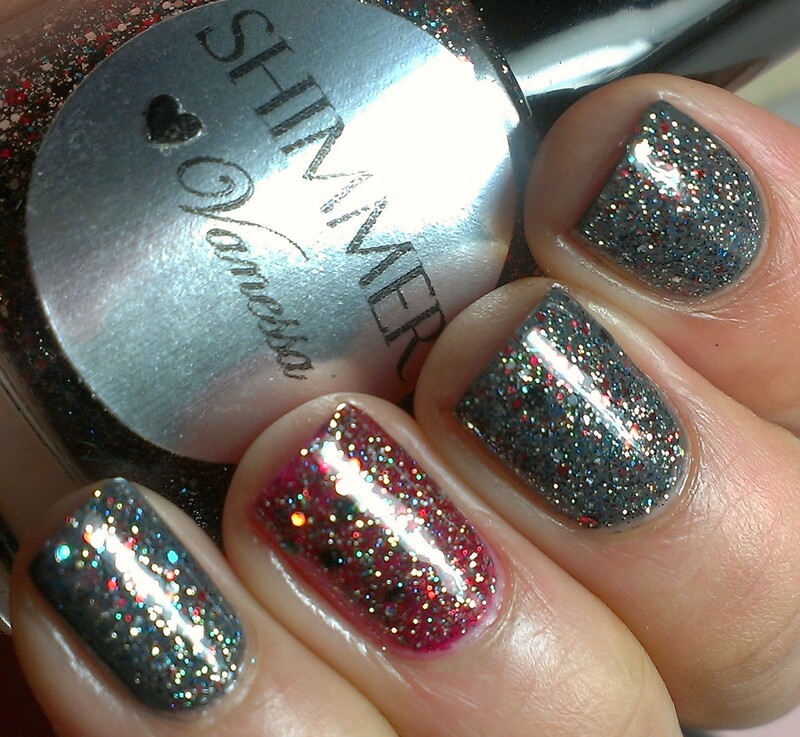 All you have to say is shimmer and I love it! It is really pretty! Love it! I think my oldest polish from OPI from the Elvis collection.I also have some from the Mexico collection. I dont know which one is older? This isn't for me-but you knew that already! My oldest polish was given to you! HAHAHAH!